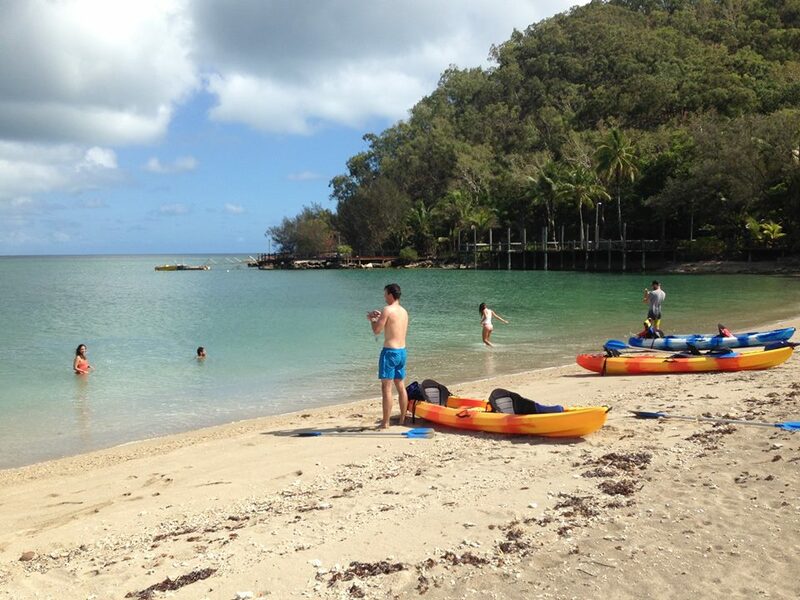 If you’re up for an adventure and a true kayaking experience, then you Can’t go past our amazing Sea kayak tour of Double Island departing from Palm Cove. A lot of people arrive at palm cove, see the amazing beach, the beautiful island out in the bay and don’t actually realise what ”that Island” has to offer. Double Island has a massive surrounding reef that is stacked with beautiful corals and amazing marine life. 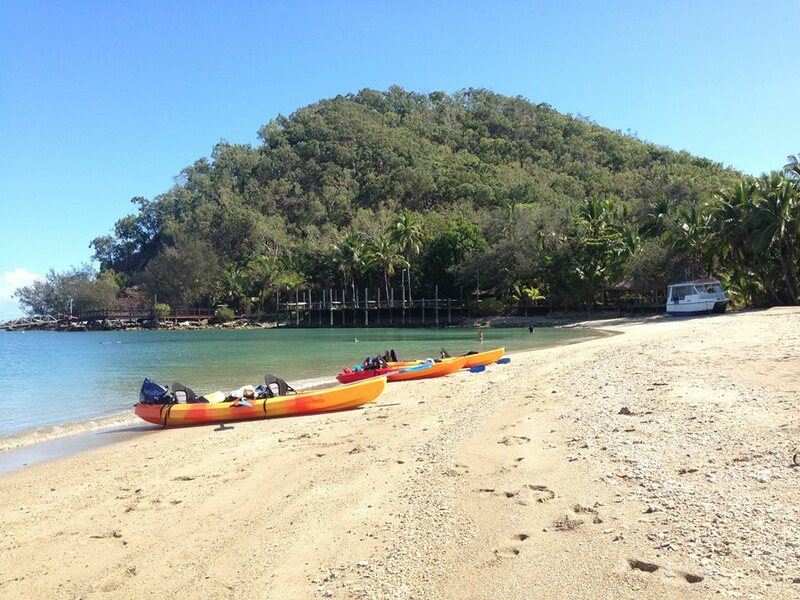 And what better way to see it than sea kayaking around it from Palm Cove. We run kayak tours daily. 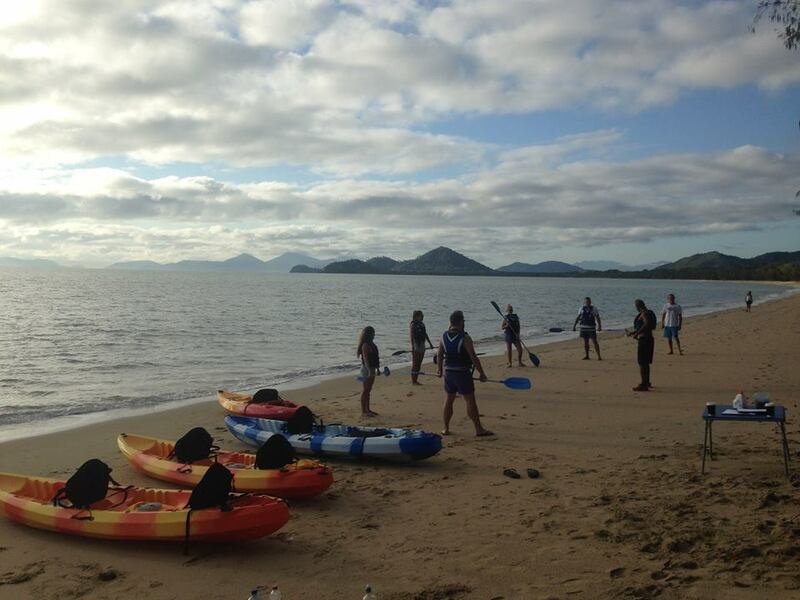 Here at Pacific Watersports and kiteboarding Cairns we take a lot of pride in our kayak tours from Palm cove. We simply won’t be beaten when it comes to service and overall satisfaction. We have highly trained, experienced tour guides that will make you feel safe, welcomed and most importantly, very satisfied. We are all ocean lovers, so being out on the water is our true passion. A lot people alway ask “do you think I’ll be fit enough” well, the answer is yes. Even if you do get a little tired, we can always take a break or even join up and and tow if needed. We always make sure our customers are well looked after. That’s why we take come fresh fruit and juice for everyone to enjoy and boost their energy levels as we kayak around Double Island. For more information on kayaking feel free to call or email us. All our details are on our website below. 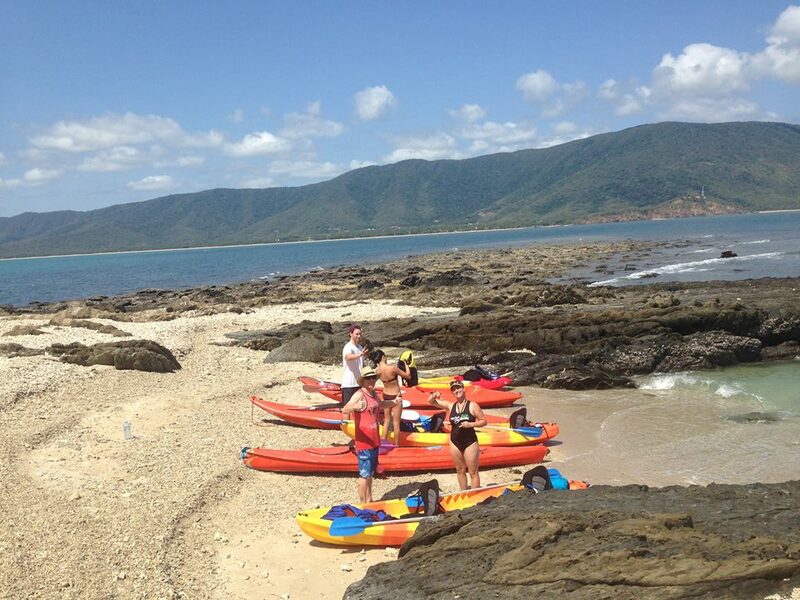 Check out a few pics we got on our Double island kayak tours. This picture was taken from a tree above just another one of Double Island’s beautiful secluded beaches. The sand bar on the western side of Double Island is a great place and relax. It’s definitely the nicest beach on the island. Nice place to swim too, as you can see in the picture below. This picture was taken from the rocks above, just as we pulled up to the island. The island Scout Hat is an amazing place to pull up, take a break and explore the rock pools. The rock pools are where we often find sea cucumbers and other marine life. This picture was taken from the path above the beach at Palm Cove. Ramez, one of our tours guides is taking our crew for the day though some basic paddling technique and a bit of safety. 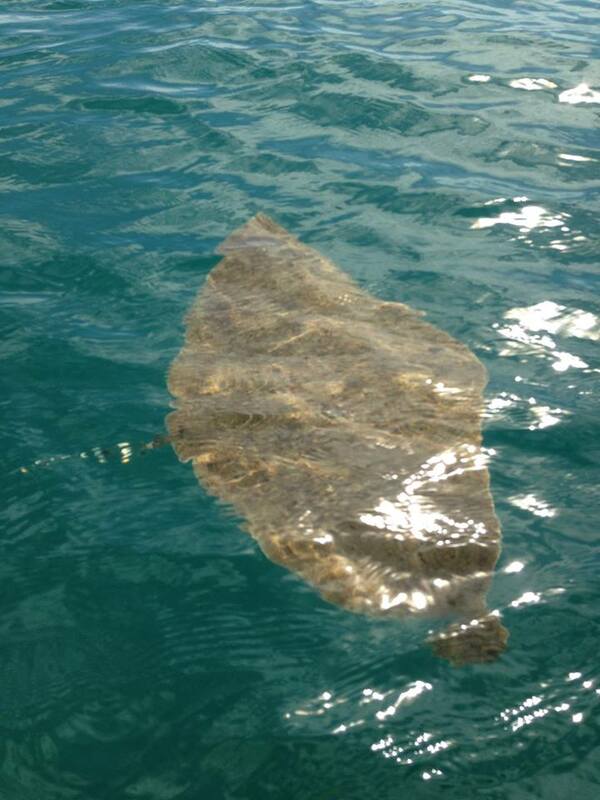 We spotted this little dude kayaking over to Double Island from Palm Cove.